This year we will be attending fewer meets but encouraging more swimmers to attend. More emphasis on getting a big social group of swimmers and parents rather than spreading ourselves over too many meets. Meets which are highlighted are the meets we would really like to see a large turnout. Even if you can only attend for one day, we encourage you to come out. All meets include beginner 25 m novice races which are really great for the younger and the newer swimmers. 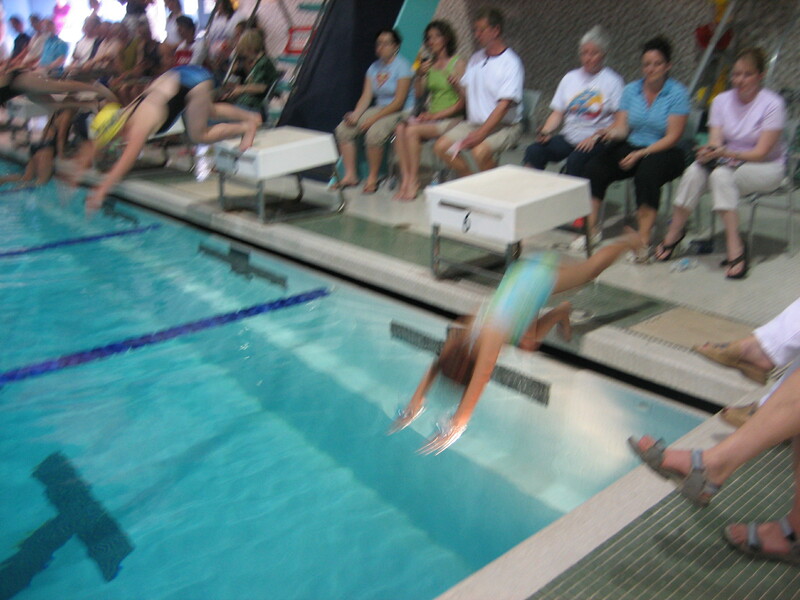 Our experience tells us that a lot of parents think their kids ” are not ready.” However, you will find that summer swim meets are very laid back, casual affairs with swimmers from as young as 5 competing. Our local meet which comes right at the beginning of the season is the perfect since there is no travelling involved, no meet fees and kids swim in the comfort of a familiar pool.